”Put all the money in the plastic bag. You have exactly three minutes,” the thief explained to the bank cashier in a calm, soft voice. The bank cashier tried to comply but her hands were trembling and tears started rolling down her cheeks. The thief gently passed on a tissue with one hand, and discreetly showed her a gun with the other hand. What kind of man was that? After exactly three minutes, the bank cashier gave the thief the plastic bag filled up with money and she watched him exit the bank , his pace slow and steady as if nothing had happened, as if he hadn’t just robbed a bank. The thief jumped in his motorcycle and disappeared. No one tried to chase him, no one tried to stop him. Was it because of the gun he was carrying or was it something else? The bank cashier was given water to drink to calm down. The bank manager was anxious for her to give a full description of the thief to the police. She said she would. Even though she knew she wouldn’t. That thief had stolen $200,000 in three minutes, scared the hell out of her but still she didn’t want to report him to the police. A little voice inside her mind kept telling her not to do it and she couldn’t make that voice shut up. The thief suddenly pulled over at the end of a road. It was a dark, empty road, with nothing but a few old trees… and a big, old, abandoned house. He opened the gate of that house, his plastic bag in hand and fastened his pace. He rang the doorbell three times, before the door opened. An old lady pulled aside to let him in, her eyes full of questions, as she spotted the plastic bag. The old lady opened her mouth to say something but the thief raised his right hand in the air as a stop sign. As he was walking towards the gate, he suddenly turned around and smiled. George Muellair Orphanage… we will meet again. 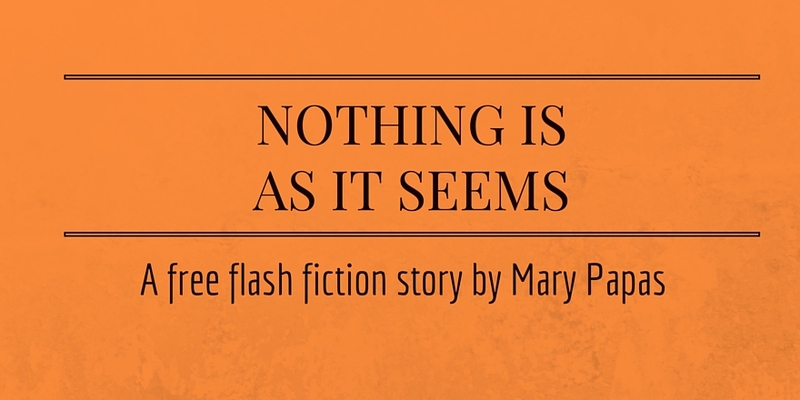 You can find more short stories and flash fiction by Mary Papas here. Wow! Great story, Mary and the ending is fantastic! Love that he’s a modern day Robinhood.